This new Junior Hockey League series is dedicated to to the league’s 10th anniversary. Over the years there have been plenty of hockey players who developed into great stars. They currently play for KHL and NHL teams as well as their national teams. JHL media relations department embarks on a difficult journey as we’re going to present you all-time rosters of teams that have been part of the league since the beginning (or joined it a little later). We begin with Stalnye Lisy Magnitogrosk, who won championship title in the league’s inaugural season, which began what seems like a long time ago now – in the autumn of 2009. 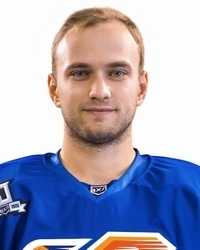 Overall in JHL: 96 games for Stalnye Lisy (2 seasons), 69 wins, 13 shutouts; 2.08 goals against average; .919 save percentage on average per game. Voloshin was one of the key players who led Magnitogorsk to their championship title in Junior Hockey League’s inaugural season. After that championship season Voloshin again made the finals with Stalnye Lisy and also made his debut in the Kontinental Hockey League. 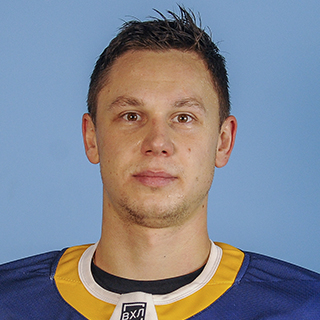 Since the 2010-11 season Voloshin has been in the VHL where he played for Dynamo Balashikha and Yermak Angarsk. Voloshin has played for several Kazakhstan teams since 2015. Overall in JHL: 71 games for Stalnye Lisy Magnitogorsk and Krasnaya Armiya Moscow (3 seasons), 39 wins, 6 shutouts; 2.23 goals against average; .928 save percentage on average per game. Tyumen native made his debut for Metallurg when he was 16 years old. He played almost 3 seasons for Magnitogorsk, achieving his greatest result in the 2016-17. 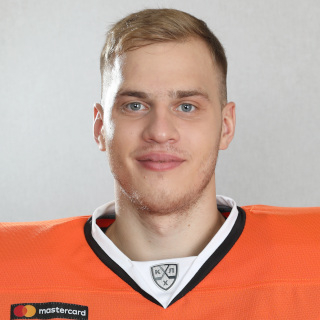 During the season Lozebnikov was named goaltender of the month twice, although Magnitogorsk couldn’t go deep in the playoffs that year. Last season Lozebnikov moved to Moscow and made as many as two debuts. 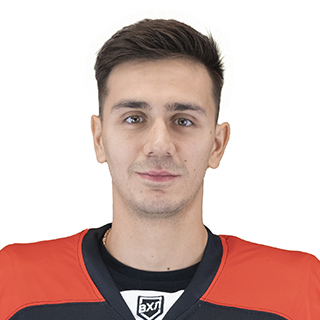 Lozebnikov played his first game for Krasnaya Armiya Moscow and Zvezda Chekhov, thus making playing his first pro hockey game. One of the most decorated Junior Hockey League alumni, Antipin made his debut for U18 and then U20 Team Russia during his JHL tenure. Antipin won a silver medal at the 2012 World Juniors. He also won Gagarin Cup twice with Metallurg Magnitogorsk and played 47 games in the NHL for the Buffalo Sabres last year, after which he decided to come back home. Antipin won one silver and two bronze medals at IIHF World Championships. Overall in JHL: 188 games for Stalnye Lisy Magnitogorsk and SKA-1946 St. Petersburg (3 seasons). 29 goals, 59 assists, 88 points, +97. Tereschenko is yet another Kharlamov Cup champion from the league’s inaugural season. In that season Tereschenko led the league in plus/minus category. Moreover, he was named the top defenseman of the league in two consecutive seasons. Aside from Metallurg Magnitogorsk, Tereschenko also played for Donbass Donetsk in the KHL, while donning SKA-1946 St. Petersburg jersey in the JHL as well. Tereschenko won two Gagarin Cups with Magnitogorsk. 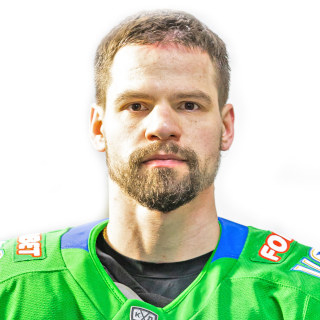 In the upcoming season Tereschenko will play for Salavat Yulaev Ufa. Grigorenko is one of the top Junior Hockey League players in the nine years that the league has been in existence. He also leads Stalnye Lisy in all-time goals and points. In 170 regular season games with Magnitogorsk major junior team Grigorenko scored 87 goals and notched 83 assists for a whopping total of 170 points. In his last full season with Metallurg he won his first Gagarin Cup and carried on to play for other teams. Grigorenko has played for Neftekhimik Nizhnekamsk, Ak Bars Kazan and Admiral Vladivostok, while making short trips to the VHL as well. Boltanov is also one of the top Stalnye Lisy Magnitogorsk all-time scorers. In all-time points he’s only behind Grigorenko and Timur Shingareyev. However, Boltanov did not win Kharlamov Cup because he made his Junior Hockey League debut only in the 2012-13 season. Boltanov scored 73 goals in 151 regular season games, which is second best result after Grigorenko’s. 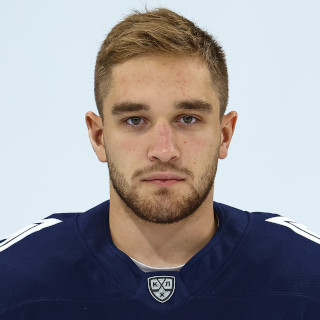 Boltanov won a silver medal at World Junior A Challenge and made his KHL debut last season with Metallurg Magnitogorsk. He will play for Admiral Vladivostok in the upcoming season. “I was back in junior hockey school when Stalnye Lisy won the first ever Kharlamov Cup,” says Boltanov. “That’s when I set a goal for myself to make the team one day. I have a lot of good memories from my time with Magnitogorsk. For instance, my first career JHL goal in the 2012-13 season in the game against Reaktor Nizhnekamsk or how I was invited to compete for JHL Challenge Cup in Nizhnekamsk as well. Over the years that I spent with the team, I learned how to play like a grown man, be a team player and be the leader. Many Stalnye Lisy alumni become good players in pro leagues. I always noticed their work ethic and how they are goal-driven”. Overall in JHL: 167 games for Stalnye Lisy Magnitogorsk and Kuznetskie Medvedi (4 seasons). 51 goals, 89 assists, 140 points. Mikhailov didn’t get to hoist the Kharlamov Cup either as he made his Junior Hockey League debut after Stalnye Lisy’s championship season. Nevertheless, that didn’t stop him from becoming one of the most productive players in franchise history. In 2011 he won a bronze medal at the IIHF U18 World Championship. And in the following season he topped JHL in regular season goals and assists. 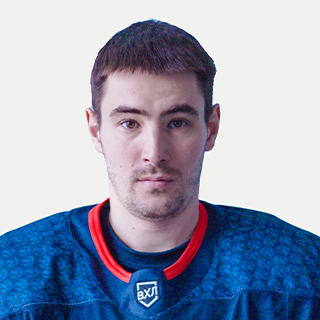 Mikhailov was also named rookie of the year in the VHL where he continues to play. 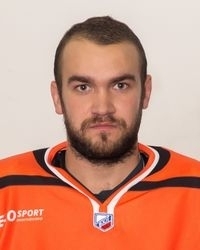 Mikhailov has played for Ariada, Yuzhny Ural, THK, Rubin, Izhstal and Yermak. In the upcoming season Mikhailov is going to play for Saryarka Karaganda. “When Stalnye Lisy won the Kharlamov Cup, I was just making my first steps in the league as I played a handful of games in the regular season,” reminisces Mikhailov. “I didn’t get to play in JHL finals and the following season I went to the U18 IIHF World Championship after the semifinal round. In the first three seasons we won three medals but it wasn’t very emotional for me. The core of the team consisted of 1992 year born guys. Their team had won Russian junior championship titles a few times back in junior hockey school days so it wasn’t our first big win. I was very happy when I was offered to sign a contract with JHL team. We were seen as the leaders. We were to replace the guys who couldn’t play in the league anymore because of the age limit. We were supposed to help our team win and not just be some bystanders. We were able to help our team make Kharlamov Cup Finals for the second consecutive time, which was a success. We’re still in touch with Viktor Antipin. He was always the soul of our team despite being a quiet guy”. Overall in JHL: 133 games for Stalnye Lisy Magnitogorsk (4 seasons). 43 goals, 102 assists, 145 points. Shvyryov is one of the most talented Magnitogorsk junior hockey school alumni in recent years. He also leads Stalnye Lisy in assists in franchise history. 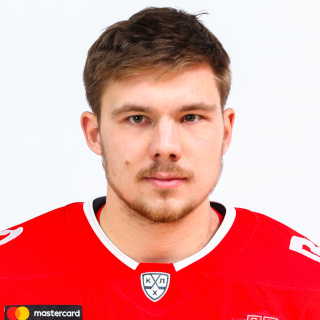 Having made his Junior Hockey League debut at 16, Shvyryov played his first Kontinental Hockey League game for Metallurg Magnitogorsk the following year. Shvyryov gradually was getting more and more ice-time on Metallurg after that. He won a bronze medal at Ivan Hlinka Memorial with Team Russia, played 32 games for Metallurg last season and decided to move overseas. In the 2018-19 season Shvyryov will play in the AHL for Colorado. Overall in JHL: 146 games for Stalnye Lisy Magnitogorsk and Loko Yaroslavl. 66 goals, 89 assists, 155 points. Apalkov is a versatile forward from Magnitogorsk. He’s also one of the heroes behind Stalnye Lisy’s championship season in Junior Hockey League’s inaugural season. Apalkov also captained Magnitogorsk to silver medals in the following season. After Lokomotiv tragic plane crash, Apalkov joined Yaroslavl where he continues to play today. Apalkov won a silver medal at the 2012 World Juniors, a bronze medal in the KHL and also participated in KHL All-Star game in 2016. Overall in JHL: 167 games for Stalnye Lisy Magnitogorsk (4 seasons). 59 goals, 84 assists, 143 points. Arsenyuk made his debut for his hometown team in the 2012-13 season and showed some great progress right from the beginning. He really made a name for himself as a playmaker and two years later played his first games for Metallurg. Arsenyuk hasn’t been able to become a core player on Magnitogorsk pro team yet, although he had his best VHL season of his career last year. In 44 games with Gornyak Arsenyuk scored 7 goals and notched 19 assists for 26 points. 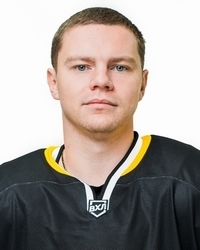 Overall in JHL: 184 games for Stalnye Lisy Magnitogorsk (3 seasons). 69 goals, 68 assists, 137 points. Solovyov was also a member of Stalnye Lisy’s gold and silver teams. He also won JHL Challenge Cup in his first two season in the league. 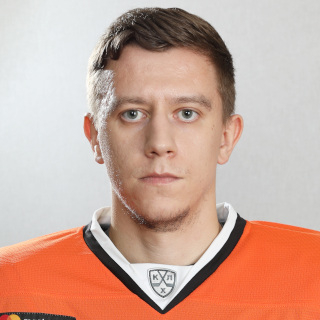 After graduating from Junior Hockey League, Solovyov won Ukrainian League championship title and then began going up and down between Metallurg Magnitogorsk and its VHL affiliate. 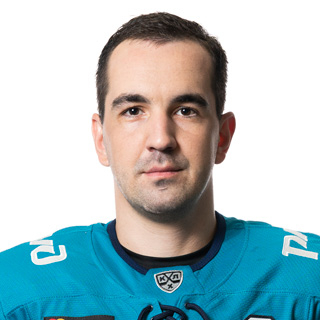 Last season Solovyov played for one of VHL’s Chinese debutants Tseng Tou Jilin. Overall in JHL: 127 games for Stalnye Lisy Magnitogorsk (4 seasons), 50 goals, 57 assists, 107 points. Korobkin is the only player on our list whom we’ll still see in Junior Hockey League as he will only turn 20 in late August. Despite his tender age, Korobkin is a true leader and captain of the team. At the latest JHL Challenge Cup he didn’t get to hoist the trophy but earned an invitation to KHL All-Star Game with his great performance, where he scored a goal.